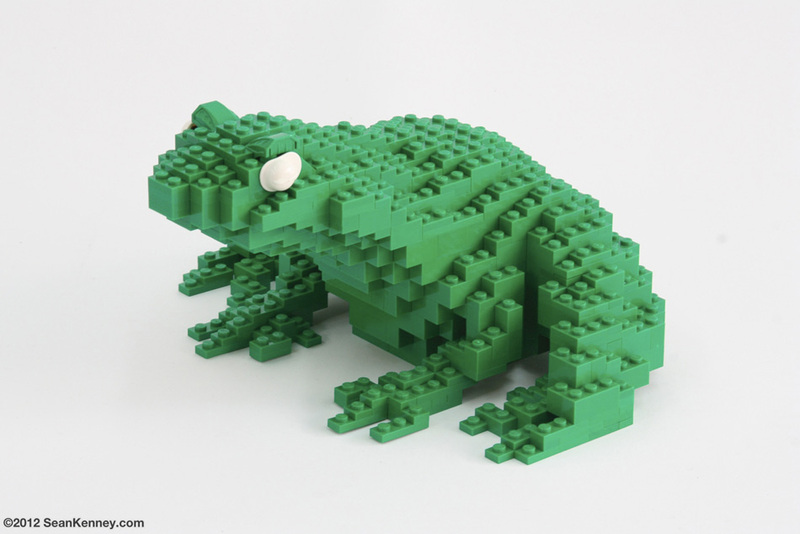 This cute little frog is life-sized and was built with 530 pieces, installed in a real lake set next to five giant lily pads, a koi and a water lily (lotus bloom). See more photos of the koi and the lily pads. The sculptures were assembled in my New York City art studio, then custom-crated in museum-quality exhibition crates installed in April 2012 at Reiman Gardens in Iowa as part of my traveling exhibition, Nature Connects. In October 2012 it will travel to it's next location, so stay tuned for updates!